Fall in the Ozarks is an absolutely beautiful time of the year! It is definitely one of my favorites with the leaves changing colors and pumpkin spice everywhere. Branson tends to get very busy in the fall and it’s no wonder with all that we have to offer during this time. People will drive to Branson in the fall just to see the glorious colors of the leaves changing! It’s exciting to see the wonders of reds, greens, oranges, and yellows displayed in ways that take your breath away. Dogwood Canyon Nature Park (http://www.dogwoodcanyon.org/) is magnificent this time of year. 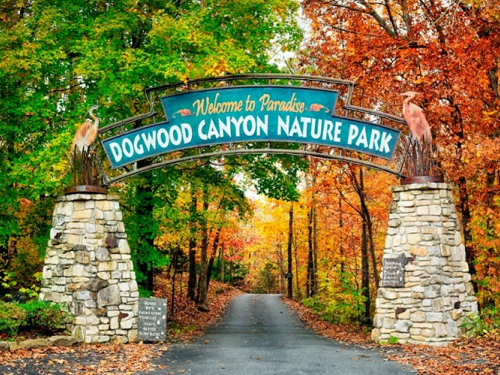 The park is owned and managed by the Dogwood Canyon Foundation, a non-profit organization dedicated to protecting the canyon’s natural plant and wildlife environment. The Foundation promotes environmental conservation by maintaining the park and providing the public with an unspoiled setting for exploration. With a one-day Adventure Pass, you can find a wide variety of outdoor activities to enjoy and explore the pure beauty that Dogwood Canyon has to offer! The Adventure Pass allows you to walk or bike through the miles of trails. You can also hop aboard the Wildlife Tram Tour for a relaxing tram ride around the nature park. One of my favorite parts of the Adventure pass is Trout Fishing! You are given a 2 Hour Self-Guided Trout Fishing experience that you and your family will never forget! There is always an abundance of fish and laughs during my trips! Guest attractions also include hand-crafted bridges, scenic waterfalls, trout streams and more. Dogwood Canyon, in my opinion, is the ultimate Ozarks adventure experience! 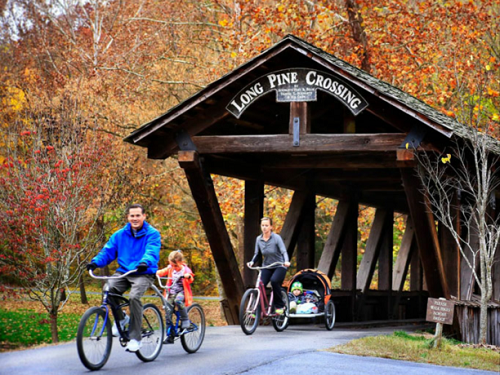 Spend your day enjoying some of the most beautiful nature in the Ozarks and getting some exercise as well. Don’t forget to bring your camera! I love experiencing fall colors in Branson with my family and friends. We especially love going to McKenna’s Pumpkin Patch. They offer campfires to provide the perfect location to center your family gathering. 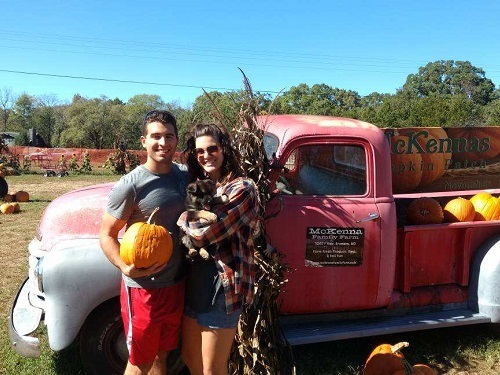 McKenna’s Pumpkin Patch is my family’s favorite spot to pick fresh vegetables, make homemade apple cider, and enjoy the warmth of the large campfire! Our house is filled with so much joy and laughter during the fall and winter months, because of the family parties, pumpkin carving contests, and celebrating the holidays. We love fall in Branson and hope you get the chance experience everything that the Ozarks have to offer! What is your favorite part of fall in Branson, MO? Share with us on Social Media!